James was born in Houston. He moved to Richmond as a teenager and graduated from Lamar Consolidated High School in Rosenberg. He joined the United States Navy and served 4 years on the USS Albuquerque (SSN 706) a submarine stationed out of New London Ct. After getting out of active duty, James went into the reserves where he served another 12 years and is now a proud veteran. He has lived in Tyler for almost 6 years and has two daughters that attend Cumberland Academy. 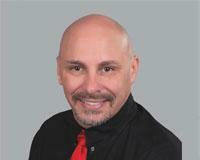 James has 4 years of Real Estate experience and has sold over 100 homes at over $20 million. He is passionate about the Real Estate market in the Tyler and surrounding East Texas area and enjoys the relationships he builds with his clients.